As soon as you wade through the water from the boat to the beach you’ll start to feel the island vibe. 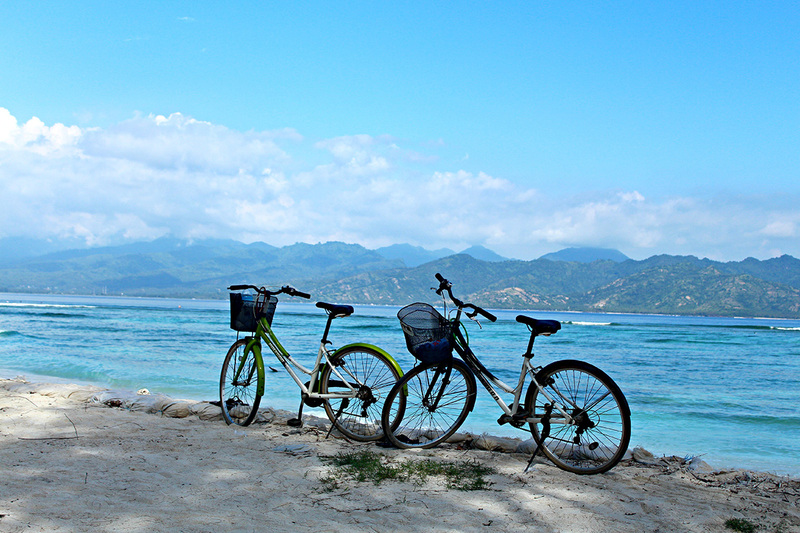 The Gili Islands have no motorized transportation so there is no traffic noise or smells. This also means no one is in any rush to get anywhere. Tourists, locals and expats alike walk or cycle wherever they need to go. There are plenty of things to do on Gili Trawangan but most involve exploring, soaking up the sun, and enjoying the water. Nothing is urgent when you’re on island time! The locals of Lombok and the Gili Islands are called the Sasak people. Like their Balinese neighbors they are friendly, welcoming, and kind hearted. The local community on Gili Trawangan still live very much like they have done for generations, but also now accommodate the tourist industry that sustains them. Most of the staff in the hotels like Villa Almarik, restaurants, bars, and dive centres are local. Many come from mainland Lombok and live on the Gilis to help support their families. You’ll probably end up chatting to the hotel and restaurant staff, and beach hawkers. They are a great source of local knowledge and are generally happy to get to know foreigners. Gili Trawangan is famous for its beaches and stunning sunsets. Combine the two, sitting on the white sand beach watching the sun set and you have magic in store. Everything seems to slow down at sunset as everyone finds a beachfront spot to watch the show. If you want the front row seats the southwest side of the island is the place to be. 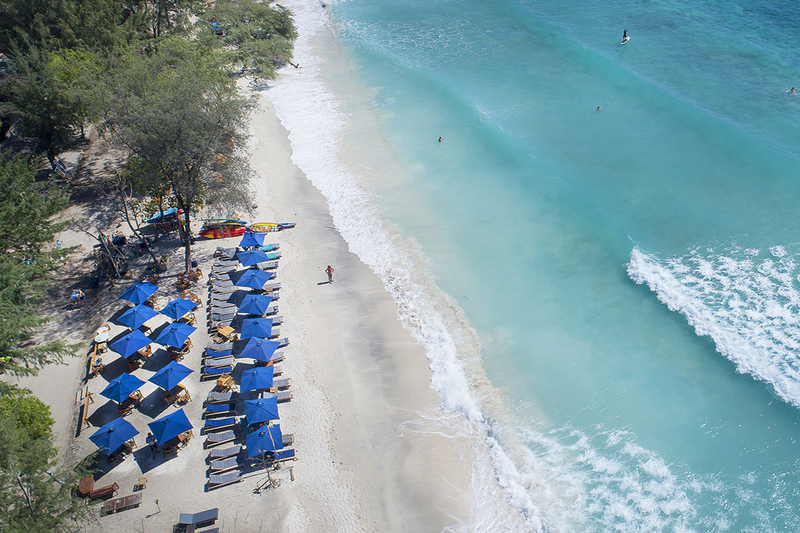 And if you feel like a little hike, Gili Trawangan Hill gives you the bird’s eye view. However, wherever you are for sunset time on the Gilis, you won’t be disappointed. Sometimes you see pictures of magnificent beaches, but can be let down by the reality when you actually get there. Gili Trawangan isn’t one of the places, the beaches really are like the photos. The stretch of beach in front of Villa Almarik on the east side of the island is one of the best for soft white sand. Perfect for walks, sunbathing, and snorkeling, it can also be quieter than the more densely occupied beaches of the southern part of the island. If you’d like to know more about which beaches to visit read our article: Which is the Best Beach on Gili Trawangan for You? If you dive or snorkel there is no beating Gili Trawangan. The waters are generally calm and visibility is amazing. You can snorkel just about anywhere around the coast of Gili Trawangan and there are more than 20 awesome dive sites in the area of the 3 Gilis. One of the biggest draws to the island are the sea turtles that live here. 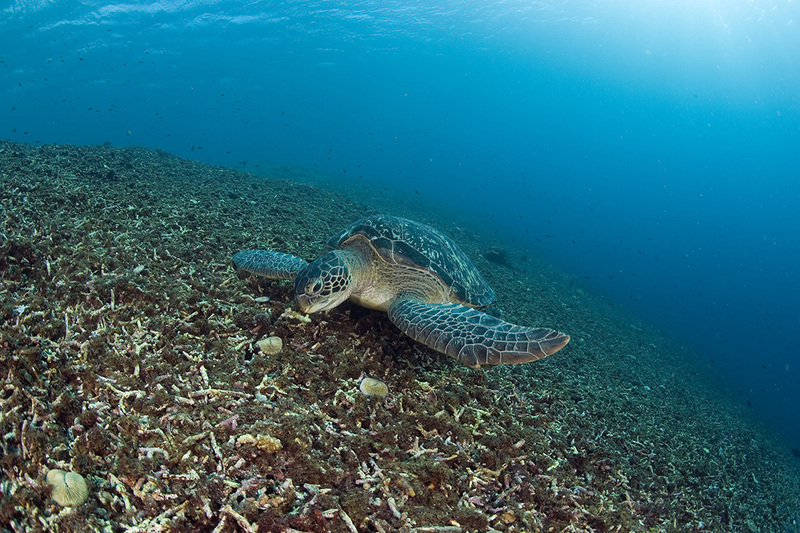 Wade out from Villa Almarik and drift towards the harbor and you are sure to see turtles. There is also a turtle conservation site just a short stroll down the beach. While diving the array of marine animals is almost endless. From beautifully colourful schools of fish to graceful reef sharks, you will want to stay underwater watching forever. Do you need more reasons to extend your Gili Trawangan trip? You can see that a short trip to Gili Trawangan is wonderful, but there is always more to see and do. Just one more sunset, one more dive… This is why people so often extend their Gili Trawangan holiday. What makes you want to extend your trip when you’re on holiday? We’d love to hear about your experiences in the comments below.